I’m spending 2 months in the UK this summer and that meant having to decide what polish and nail art supplies to bring with me. Obviously I didn’t want to fill my suitcase with polish (well maybe I did, but I need some work clothes etc. too!) 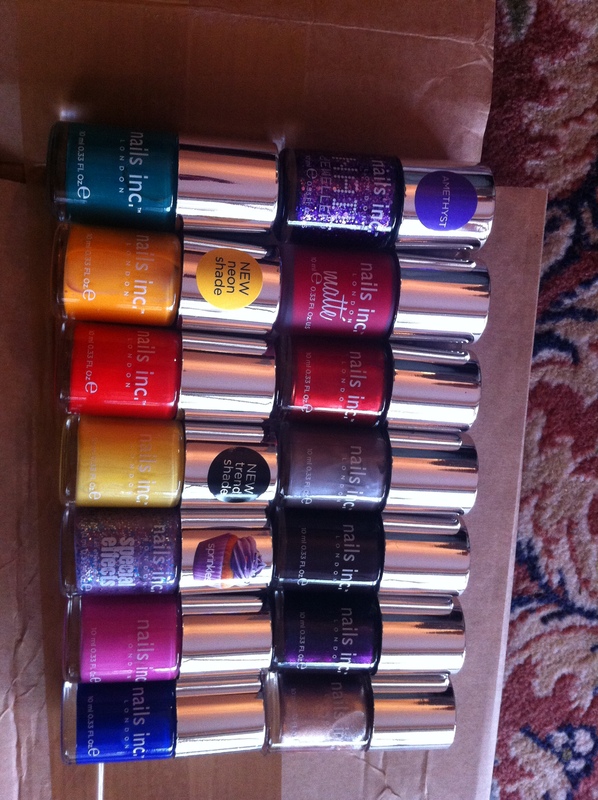 so it was a really tough job selecting just a few polishes to last me over the next 2 months. I tried to select the most useful colours for nail art, with just a light and dark shade of each colour. What polishes and nail art related items would you take if you were going away for 2 months? When I thought of the 1970s I immediately though of David Bowie. I’m a big fan of Bowie, as much for his music as for his creativity and inventiveness especially all the fabulous costumes and make up he’s managed to pull off over the years. 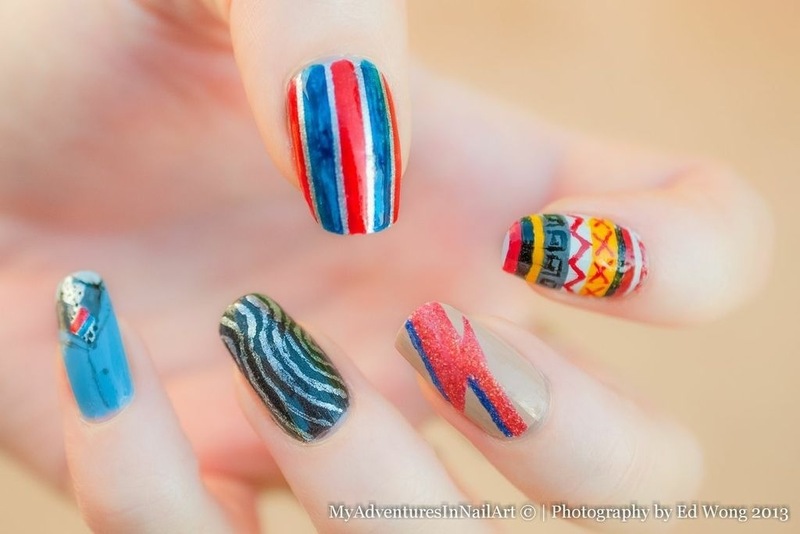 So this nail art is inspired by various costumes he wore in the 1970s. I looked at a whole variety of pictures but most of the outfits I was inspired by come from this site about the evolution of David Bowie. I love anything shiny, glittery and glamorous so the glam rock era is one that looks like it must have been so much fun to be a part of. I used: Dreamer – Revlon, Black Passion – GOSH, Don’t Pretzel My Buttons – OPI, My Boyfriend Scales Walls – OPI, Fit for a Queen – Ciaté, Golden Mandarin – Kiko, Sea Blue – Kiko, Yellow – Sweets Sweet, Bluesky Blonde – Urban Decay, Hellbent – Urban Decay, Black Taxi – Nails Inc, St James’s – Nails Inc, Miss Grey – GOSH. 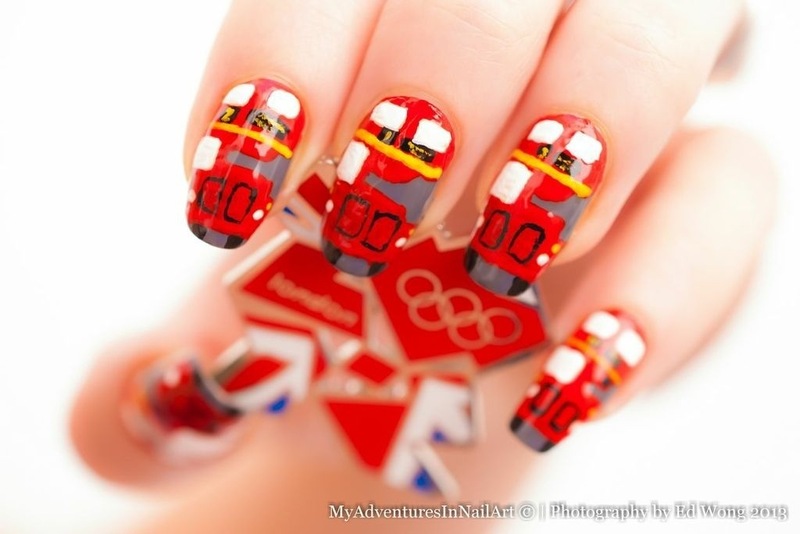 I wasn’t sure what to do for London nail art. There are so many things that are iconic about London and I know the city so much better than any of the others on the list, so it was really hard to decide. I was going to go with a transport theme (red bus, black taxi, underground…) but liked the bus I had done and decided to do it on all of my nails. This is the first time I have done a design almost entirely in acrylic paint. I mainly decided to do it because I didn’t have a red which would dry well – my red polish are all really slow dryers and almost always bleed when I top coat them ruining everything… It was different using acrylic but I quite enjoyed it and was pleased how any of the streakiness or unevenness completely disappeared when I top coated them. I used: The Thames – Nails Inc, red, yellow, black and white acrylic paints. 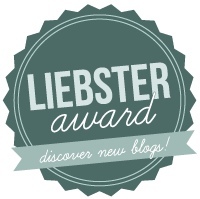 I’m sorry it’s taken me so long to post about these awards – I really do appreciate being nominated for them! 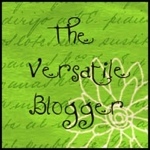 Life has been so busy at the moment (and shows no sign of slowing down!) and I got a bit behind on all my challenges and nail art posts, but now I’m up to date on them I have no excuse not to post about these awards! 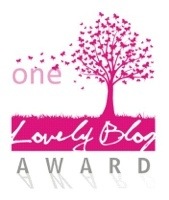 First, I was nominated for the Best Blog award by Kelsey at Polished Prescription. 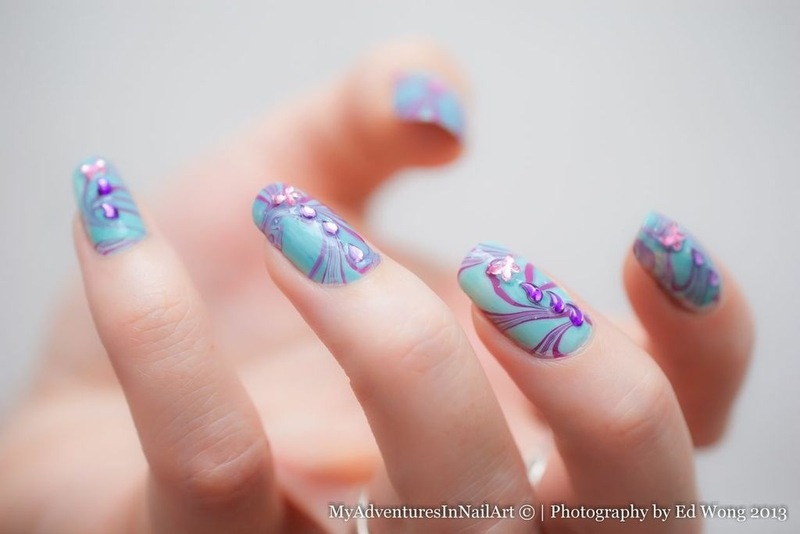 I love her beautiful nail art and perfect looking swatches. Thanks so much! 1. What is your favorite nail polish of all time? Can I only pick one?!? I can’t imagine not having Baker Street by Nails Inc in my collection. It’s the most perfect blue I own. My fiancé is wonderfully supportive and takes all the photos that appear on my blog, he also helps me come up with ideas from time to time. My friends at work are a bit bemused but usually impressed by whatever’s on my nails! 3. Craziest thing you’ve ever done (that you’re willing to share of course.. haha). 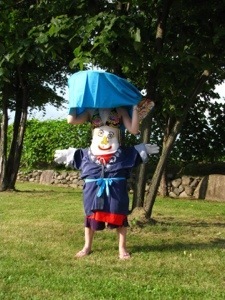 I participated in a “belly button” festival in Furano, Hokkaido when I lived in Japan, which involved having a face painted on my belly and then wearing an oversized hat that covered my real face and a yukata (Japanese summer kimono) with fake arms from the waist down! Plus I had to learn a simple traditional dance to take part in a parade through the city! 4. What is your favorite food or dessert? I have a real sweet tooth so I love pretty much all desserts but my absolute favourite is creme brûlée. I always pick it if I see it on a menu Nd have grown quite picky about how I like it! This is such a tough question. I’d probably chose to meet a woman who made her mark on history like Amelia Earhart or Frida Kahlo. I wear a lot of pink, purple and blue (clothes, that is) and on my nails I love blues and purples. I have a lot of Nails Inc products – I love their range of colours and that they’re always looking for new ways to make painting your nails fun and cool. 9. What is the last movie or book that made you cry? I’m not really the crying type when I watch movies or read books. I was pretty close to tears reading “Nothing to Envy: Real Lives in North Korea” though as it’s a harrowing read about what the people of North Korea have had to endure. I’m a very outdoor person and love camping, hiking and scuba-diving. I sometimes snowboard too and have tried countless other outdoor sports. 11. What is your favorite place you have ever traveled to and why? I’ve been to so many wonderful places and it’s impossible for me to just pick one. I absolutely loved: the Oaxaca coast in Mexico (actually the whole of Oaxaca state but especially the coast), Nusa Lembongan island off Bali and Hokkaido in Japan. On to my nominations for this award. It says up to 20, but with 2 awards to give I’m going to keep my list a bit shorter than that. 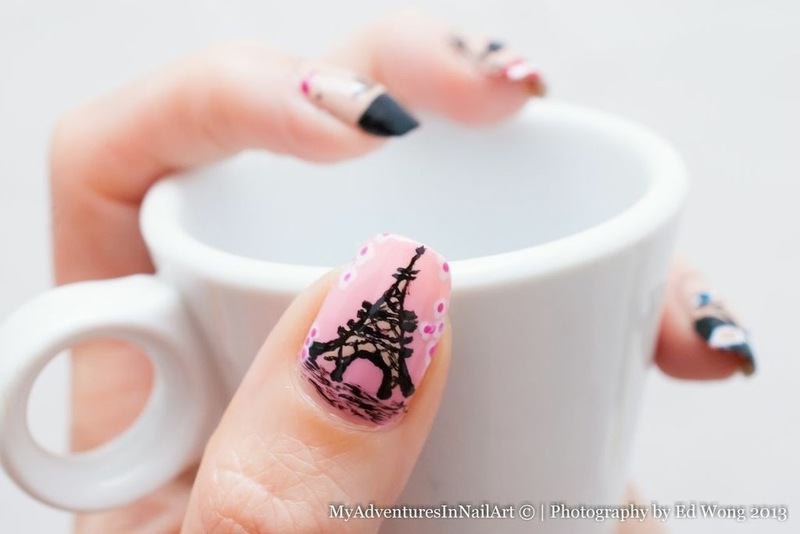 The Nail Art Show Lots of pretty and creative nail art to inspire you here. 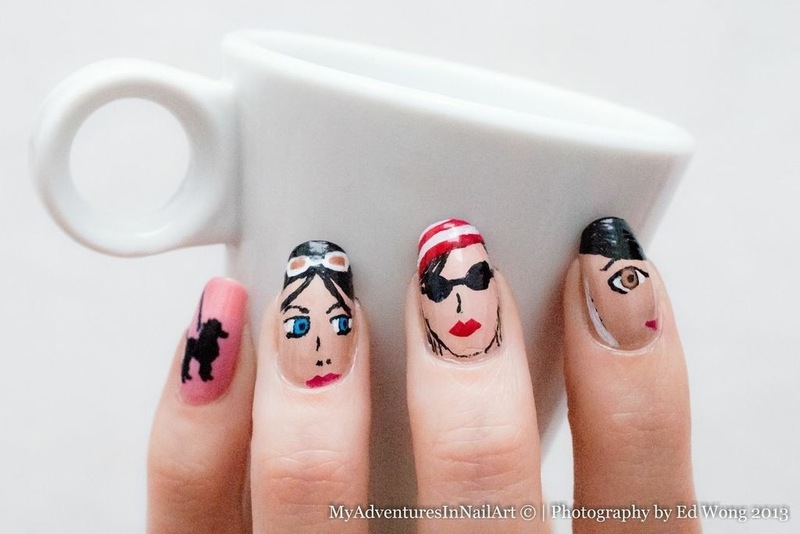 Break Rules not Nails this woman is an artist – her nail art is beyond incredible! 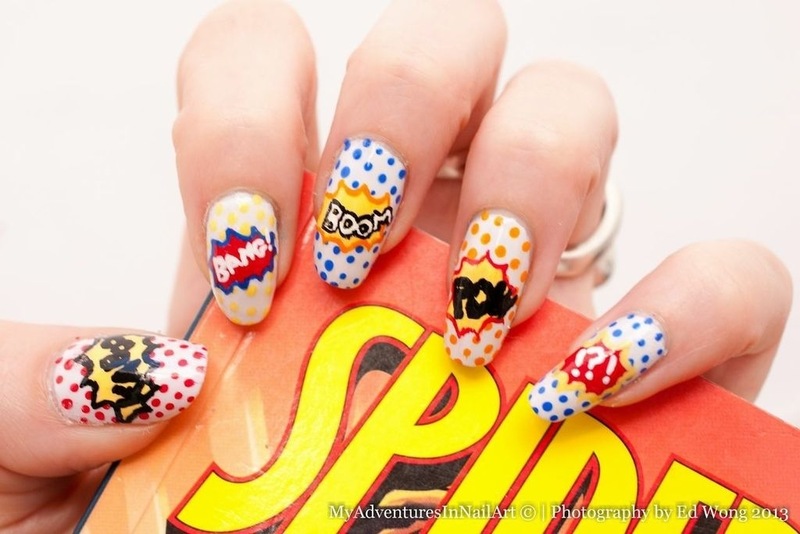 Nail Photos by Lani Lani is a talented stamper – something I just can’t do! Our Painted World Angie is another Llama Nails girl who’s done some fantastic manis for the Time Periods Challenge. 2. What is your proudest achievement? 3. What is one thing that your readers would be really surprised to learn about you? 4. Do you think of yourself as a girly girl? 5. Where would your dream place to live be? 6. How do you store your nail polish? 7. Which polishes are top of you wish list? 8. Do you wear your nail art creations to work (or school)? 9. Do you ever go for manicures in a salon? 10. What’s the most unusual beauty treatment you have ever tried? 11. Is there a beauty product you just couldn’t live without? 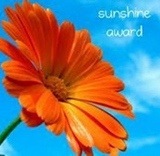 The second award I was nominated for is the Sunshine Award. 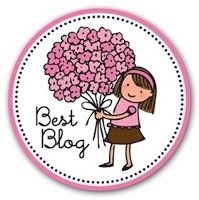 Jacqui from Crafty Nail gave me this award which is a great honour as I love her blog – she has great nail art and lots of fun crafty ideas like using old glossy calendars as palettes for your polish. What could be cuter than having July 2012’s kitty gazing up at you as you paint some intricate design on your nails!?! Thanks Jacqui! OK, 7 facts about me. I’m really bad at coming up with random facts so I’m going to go with a theme to make it a bit easier. As this is the Sunshine award and summer is here (or at least it is here in Spain, I’m not looking forward to the 18C “high” that the UK is having when I go there next week – will be packing my sweaters and jackets!) I have chosen SUMMER as my theme. 1. I love hot weather as long as it’s a dry heat. The heat never bothered me in Mexico where it was routinely 40C or here in Spain today it’s just sneaking over the 40C mark, but I can’t stand it when it’s humid. 25C and 70% humidity nearly killed me in Tokyo. 2. I don’t like sunbathing. I’m fair skinned and burn far too easily to enjoy sunbathing. Plus I just don’t like the feeling of lying there cooking myself, I prefer to tan while doing something outdoors. 3. I’m so happy to be back living in a country with long summer evenings! It’s my absolute favourite thing about summer – sitting outside, having a drink or some food on a warm and light evening. I missed it so much when I was in Japan and Mexico. 4. My favourite summer drinks are iced tea (so refreshing) and tinto de verano (chilled red wine mixed with lemonade). As I said in number 3, I particularly enjoy this drink while sitting in a plaza on a summer evening. 5. I love getting my summer clothes out when the weather starts to get warmer. It makes me so happy to see all my floaty summer dresses and hippy pants and pack away my winter jumpers. 6. Picnicking is one of my favourite summer activities. I love packing up a bag/cool box with an afternoon’s worth of snacks and treats and spending a lazy afternoon in the park or at the beach, enjoying being outside. 7. I’m spending this summer working in the UK. I really hope we get some nice sunny days so I can tell my Spanish friends and students that the weather is not always terrible in the UK (as is the common perception of the weather there). Guilty as Charged Haleigh has organised the Around the World Challenge which I’ve been participating in and does some really cute and fun nail art. Kelsie’s Nail Files Kelsie has also been participating in the Around the World challenge and coming up with some great designs. 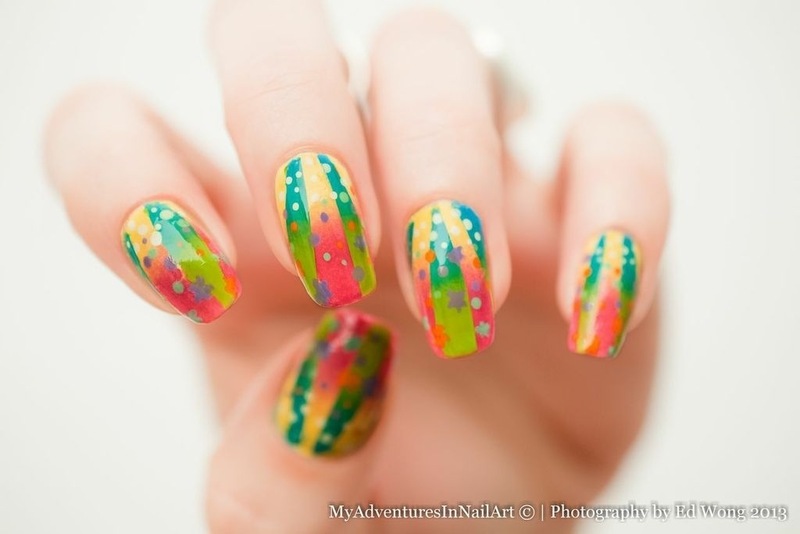 For Laquer of a Better Name Fun, brightly coloured nail art is the main feature of this blog and I love anything colourful! Laquered by Blue Vanilla These two Singaporean girls have some gorgeous designs. Paint Those Piggies Erin has a great mix of cute nail art and swatches on her site. If I have nominated you for one award and for whatever reason you would prefer the other one (for example if I’ve nominated you for an award you’ve already won), I can’t see any reason why you shouldn’t change for the one you actually want! I knew I wanted to do something bright and psychedelic for the 1960s day of the challenge and I thought of the artist Peter Max and ended up basing my design on the psychedelic rays and stars in this trippy painting. It was a bit of a challenging one as it required two gradients and using tape. I love gradients but I’m not particularly skilled with tape so I was a bit worried about how it would turn out. As usual my taped lines aren’t as sharp as I would have liked but I’m really happy with the overall effect and the double gradient especially! I used: Mellow Yellow – Sally Hansen, Sensation – Color Addict, Def Defying – China Glaze, Matt Aqua – BYS, Papaya Punch – China Glaze, Take it Mint – Catrice, Do You Lilac It? – OPI, My Boyfriend Scales Walls – OPI. I hadn’t done any water marbling in a while and thought it would be fun and relaxing to spend an afternoon doing one of my favourite kinds of nail art techniques. Wrong! I spent ages trying to find polishes that would work and that were a combination of colours I actually liked. I’ve never had so much trouble with finding polishes that work well with marbling before, so I’m wondering if it had to do with the air and therefore also water temperature being much higher than when I did this over the winter. Once I found colours I liked together that worked it still didn’t seem to go well and I had all kinds of mini disasters from air bubbles to smudged nails and not cleaning up the water surface well enough. They didn’t look a total mess but when I finished I was feeling a bit frustrated and disappointed with my manicure so I decided to stick some gems on to brighten them up. I’m not sure it really worked and I think they just looked a bit too busy and over the top! I’m not going to give up on water marbling as I’ve had some great successes in the past. Let’s hope next time it’s more fun and less frustrating though! I used: For Audrey – China Glaze, The Last Trial – Anny. It was a fun one to do and tested my freehand painting skills. I enjoyed doing the cute little faces and I think the poodle silhouette came out looking very much like a poodle! I’m really enjoying this challenge so far (especially now we’re onto the European cities!) and am pleased with a lot of the designs I’ve come up with. A big thank you to Guilty as Charged for organising such a fun theme. I used: Don’t Pretzel my Buttons – OPI, Warwick Avenue – Nails Inc, Revlon Red – Revlon, Matt Aqua – BYS, Brazilian Bikini – Sephora, black and white acrylic paint. I knew immediately that my Barcelona nails would involve something to do with Gaudi. My boyfriend lived in Barcelona when I first met him and I visited a few times. I remember having a fun and romantic day out at Park Güell and being very impressed by all the beautiful mosaics, balconies and buildings by Gaudi. The mosaic salamander there is pretty iconic, so I decided to include the salamander’s head on my nails. I went to the Sagrada Familia one day when he had to work and took about a thousand photos because it was just so incredible! it seemed natural to feature a silhouette of it on my middle finger. 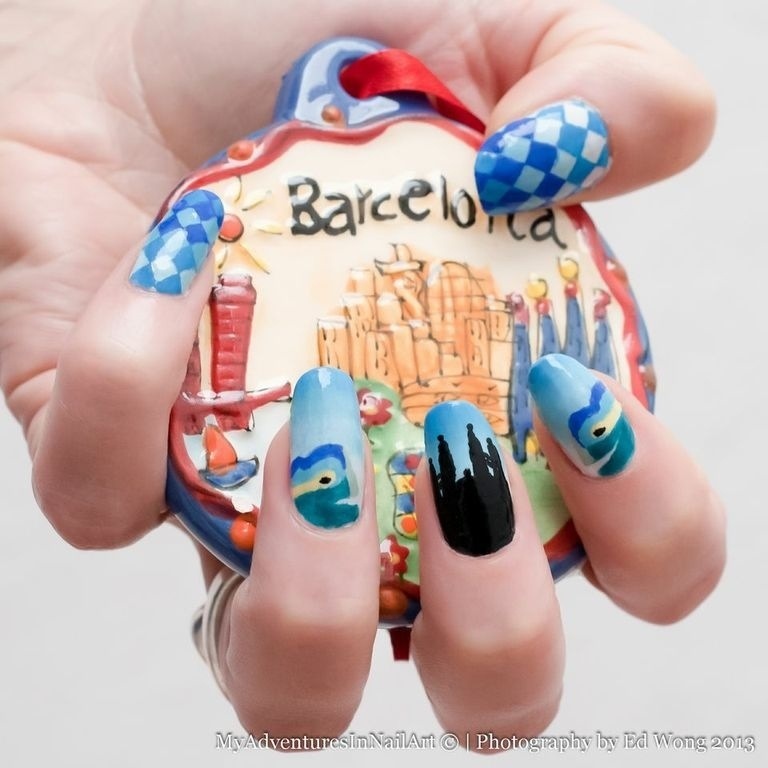 My thumb and pinkie are blue tiles inspired by the Casa Batlló, yet another bit of Gaudi in Barcelona – a city of art. I used: Matt Aqua – BYS, Light Blue – Kiko, Baker Street – Nails Inc, Keep Calm, Paint On – China Glaze, Sumner Place – Nails Inc, Floral Street – Nails Inc, Life is a Freeride – Essence, black acrylic paint. 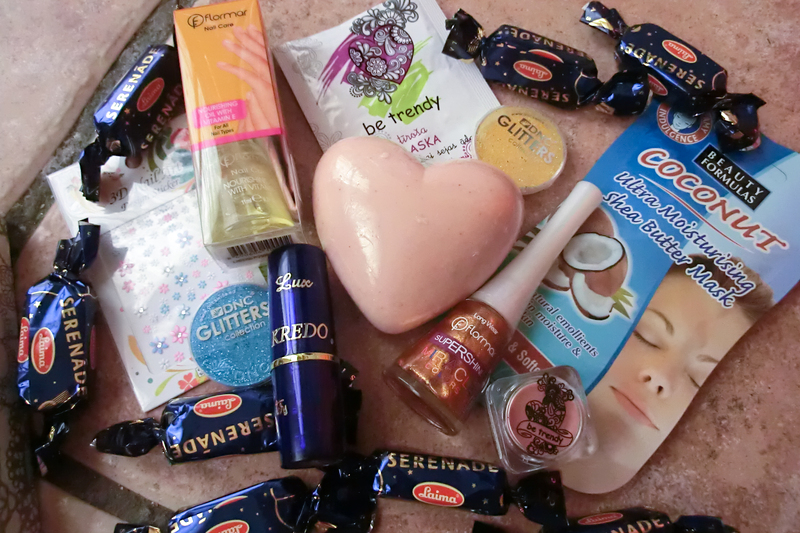 I participated in the Sweet Summer Swap organised by Luchessa and Polish Alcoholic. It was my first time to take part in one of these kinds of events so I had no idea what I was doing! I was partnered with the very glamourous Nia of Cherry Fashion Blog who is obviously much more experienced at this kind f thing as she sent me a totally amazing package which put mine to shame! I’m sorry Nia – I hope you like the things I chose for you and I know that my parcel was nowhere near in your league! 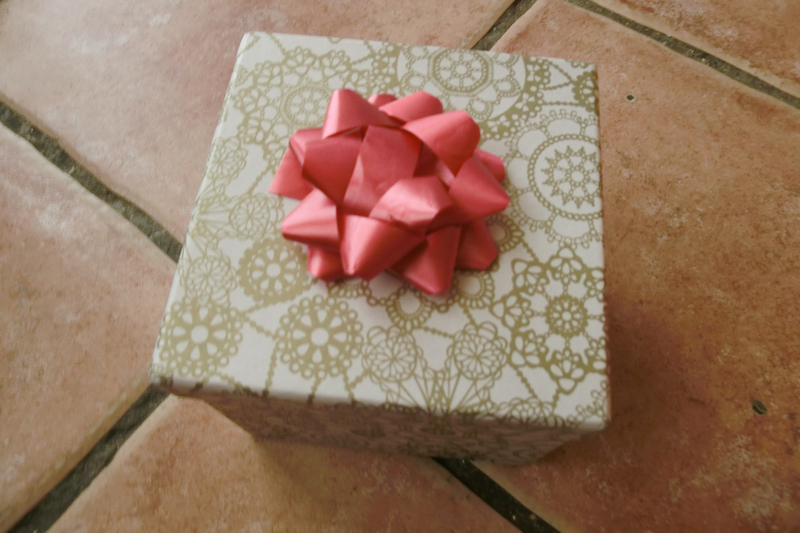 Nia’s parcel arrived in a pretty box which I’ll have to think of a good use for once I’ve emptied it of its goodies! I don’t know how she managed to find so many lovely things for just $20 – she is either the bargain hunting queen of beauty or Latvia is dramatically cheaper for beauty products than Spain! 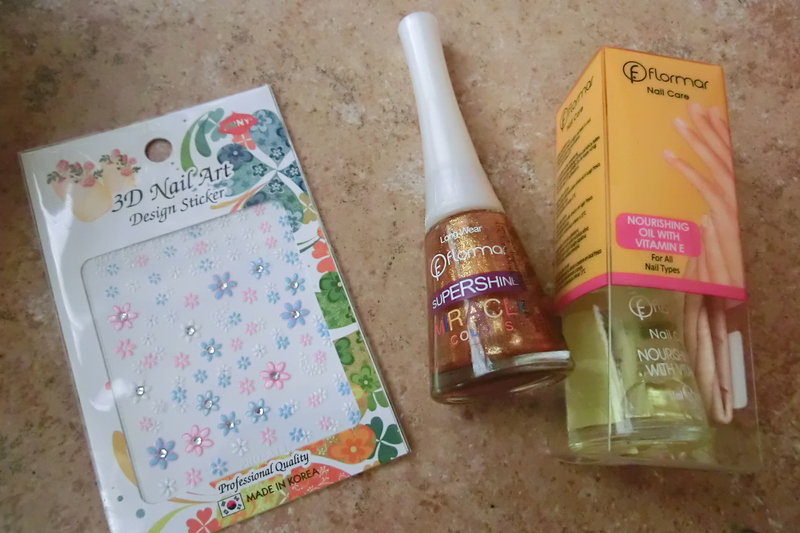 Firstly there were the nail goodies – a Flormar polish, some cuticle oil and some nail art stickers. I’ve seen Flormar shops in Spain but never investigated them, so thanks for giving me the chance to try some of their polish! Strangely I’ve also never tried nail stickers – they’re definitely a good idea for days when I just don’t have time for freehand nail art. Next, the scented things! The box smelt amazing when I opened it up and I think that’s all due to the cranberry-scented, heart-shaped soap – very cute! 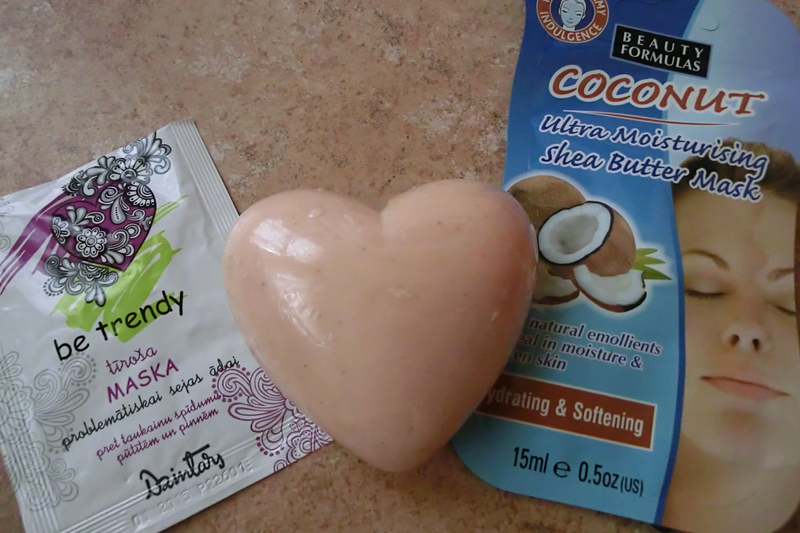 She also included a couple of facemasks – coconut, which sounds very summery, and one I can’t read – but I guess “problematiskai” means problem skin, so I’ll save that for a break-out day. 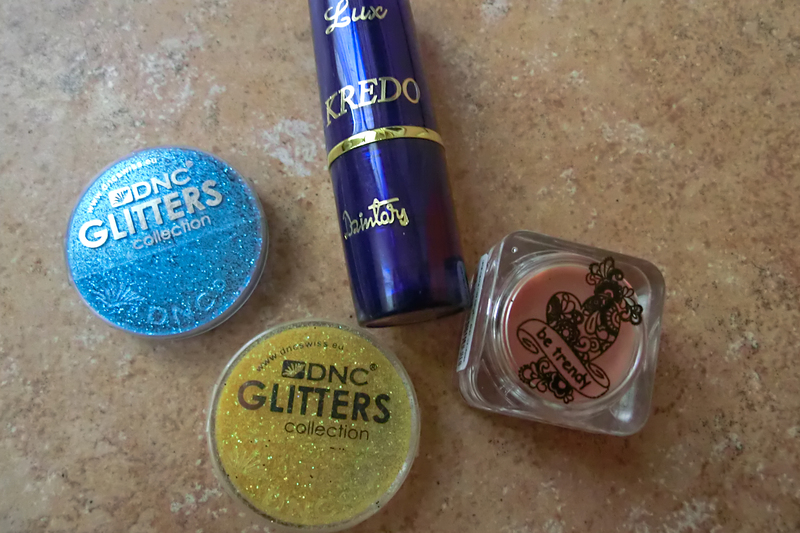 The make-up: two mini pots of loose glitter, which I’ll have to decide whether to use on my nails or on my eyes, a lip balm and a nice neutral lipstick. 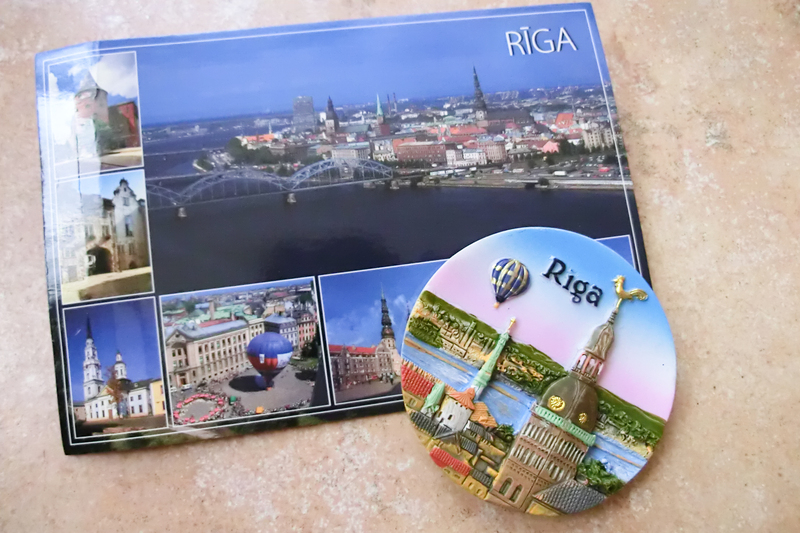 Nia was also kind enough to include a fridge magnet from Riga for my boyfriend as I had told her that he collects them from all over the world, as well as a postcard from Riga and some delicious chocolates to really fill the box up! Nia, thank you so much! I hope you and everyone else who participated in the swap have a fantastic summer! 1950s was a fun one and I love all the poster art, pin-up girls and kitsch but finally decided on comic book art. After my last disaster manicure I didn’t want to try anything too difficult and thought some Pow! and Kaboom! cartoon explosions would be fun and fairly simple to do. I’m not really a comic book fan but I was happy with these and had fun doing them – although I had a couple of smudged dots because I’m still too impatient to wait for everything to completely dry. I got several compliments from my students so that brightened my day.